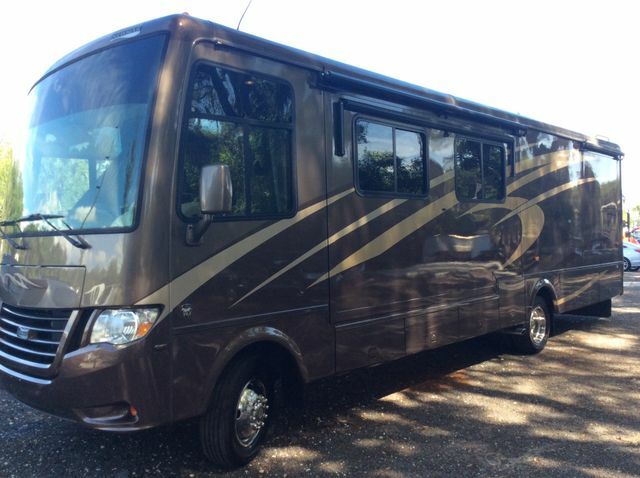 This 2012 Newmar Bay Star 3302 is like new and has only 5800 miles on it. The interior is also like new. The Full queen bed has a soft pillowtop mattress. Sony TVs receive input from multiple sources including the on-the-go roof top mounted satellite system. Dual zone A/C units provide cooling and heat as needed. The NADA says we should be selling this one for $109,000. Stop by the Auto Mart for a look.